Linda Montano, “I’m Dying–My Last Performance,” 2015, 29 minutes, video, color, sound. 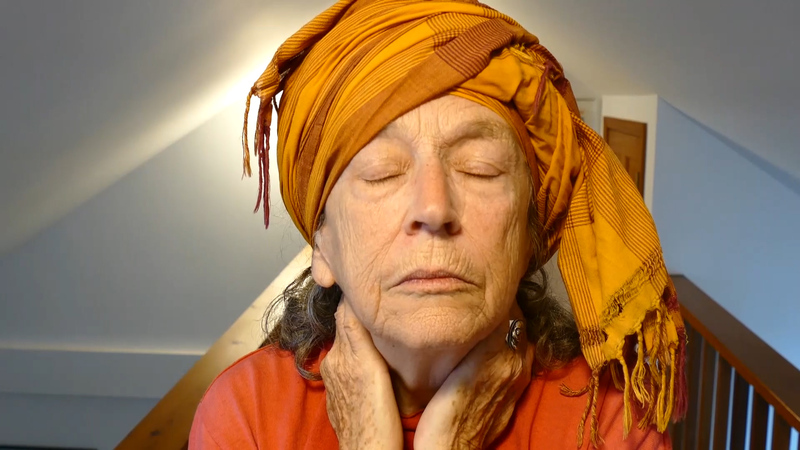 The Samuel Dorsky Museum of Art at SUNY New Paltz announces “Linda Montano: The Art/Life Hospital,” an exhibition of the Hudson Valley-based artist’s explorations of healing, aging and death. The exhibition, curated by Dorsky Museum curator of exhibitions and programs Anastasia James, will feature rarely screened video work from the 1970s through the present, alongside newly commissioned participatory works and a durational performance by the artist. “Linda Montano: The Art/Life Hospital” will be on view from Jan. 23 – April 14, 2019, in the Dorsky’s Morgan Anderson and Howard Greenberg Family galleries. A public opening reception will be held on Saturday, February 9 from 5–7 p.m.
Linda Mary Montano (b. 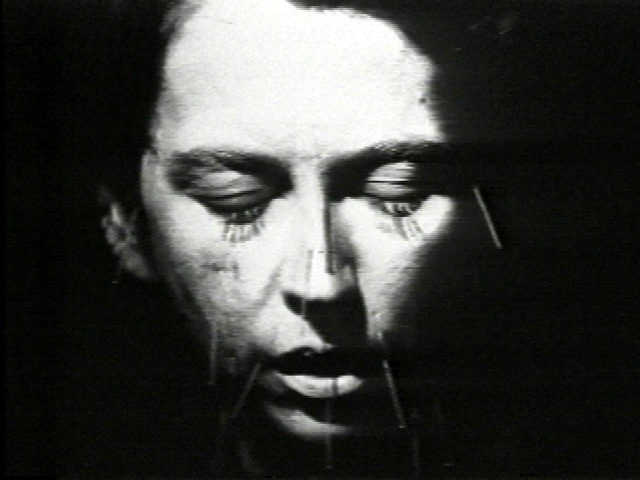 1942, Saugerties, New York) is a seminal figure in contemporary feminist performance art. Her work has been critical to the development of video and performance by, for and about women. Montano works to dissolve boundaries between art and life, exploring her art/life through shared experience, role adoption and intricate life-altering ceremonies, some of which last for many years. Staunchly insistent about the interconnectedness of her art/life, Montano’s output resists categorization on a fundamental level and her legacy has been vastly underrecognized by the establishment. Montano was raised in a devoutly Roman Catholic household surrounded by artistic activity, which produced in her a fascination with ritual and a desire to do humanitarian service. She studied sculpture before devoting herself exclusively to performance art in the early 1970s. Montano established a reputation as a durational artist with performances such as “Three Day Blindfold,” in which she lived for three days blindfolded, relying solely on the assistance of others to navigate the world, and “Art/Life: One Year Performance,” in which she was bound by rope to Taiwanese performance artist Tehching Hsieh, 24 hours a day, for a full year. From 1984 onwards, Montano performed a series of “Seven Years of Living Art” cycles: extensive investigations of the art/life dynamic that took the form of intricate ceremonies and ritual routines. She went on to found the Art/Life Institute in Kingston, New York, which offers residency to aspiring performance artists in the Hudson Valley. She is the author of “The Art/Life Institute Handbook,” a collection of simple performance exercises designed to make performance accessible to everyone. Montano donated her archive to Fales Library and Special Collections at New York University in 2013.
http://www.newpaltz.edu/museum or call (845) 257-3844.